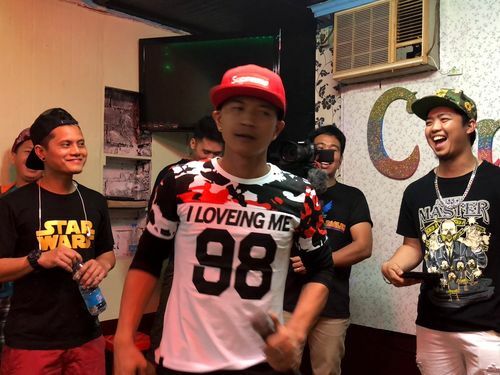 Taipei, April 8 (CNA) Six new Filipino battle rappers living in Taiwan were selected, after a local battle Sunday, to progress to Laklakan 2, a major event scheduled to feature seasoned battle rappers from the Philippines. The selection was made at the Laklakan Series Volume 1 Lokal Artist Rap Battle + Open Mic Session which was held in Chungli, Taoyuan. The six selected battle rappers Ace J, Joey Write, Rzone, Kenrick, Kevin J and DJ were selected by a five-member jury. Battle rapper Ace J (front center) during his battle against Menor De Edad on Sunday in Chungli. The match ups for the event were Ace J vs. Menor De Edad, Kenrick vs. Lady Beb, Joey Write vs. Ray, Diablo vs. Rzone and Kevin J vs. DJ. 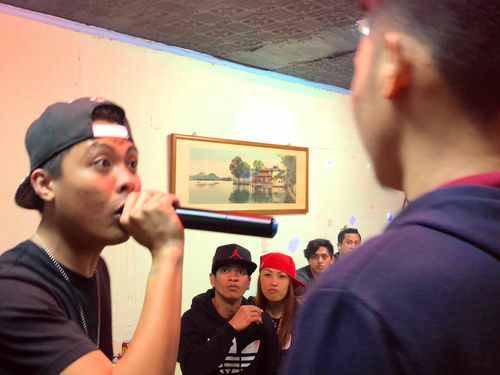 Joey Write (front right) rhymes into the microphone during his battle against Ray on Sunday in Chungli. Kevin J and DJ, the stars of the final battle and highlight of the event received a tie from the judges who found the two to be equal matched in their battling skills. Battle rapers DJ (left) and Kevin J face each other in their battle on Sunday in Chungli. 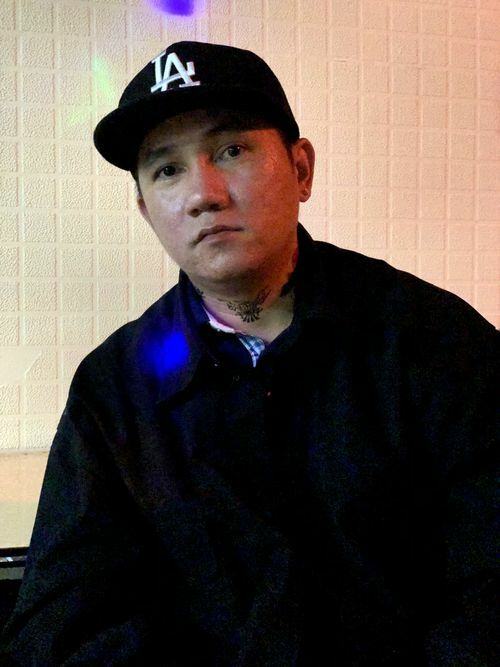 The judges were made up of respected and veteran battle rappers and disc jockeys, including Filipino hip hop group in Taiwan Brown 101's Jigsaw, JMT, DJ Jhang, DJ MP and Ar-Em. Brown 101 member DJ Jhang poses for the camera on Sunday in Chungli. 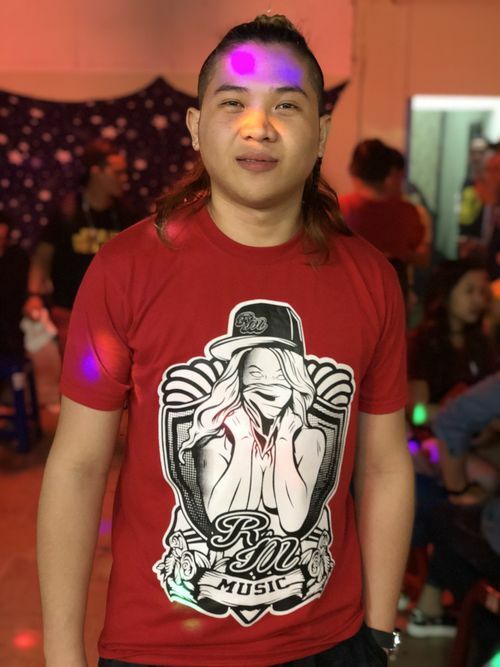 According to Alpha Martial Eagles Production (AMEP) head Allan Viray, organizer of the event, the judges at the event "have experience and understanding in battling and hip hop culture"
Brown 101 member Jigsaw poses for the camera on Sunday in Chungli. "Yeah! Today was really good as we have successfully completed the first local battle and hopefully it will become bigger," Viray said, explaining that the event was to pave the way for Laklakan 2. Brown 101 member Ar-Em poses for the camera on Sunday in Chungli. "All six winners will proceed to Laklakan 2," Viray noted, adding that there they will face or rap alongside battle rappers from the Philippines. When asked which of the winners has the most potential, Viray replied "for me, it is Rzone, Kevin J, DJ and Kenrick." 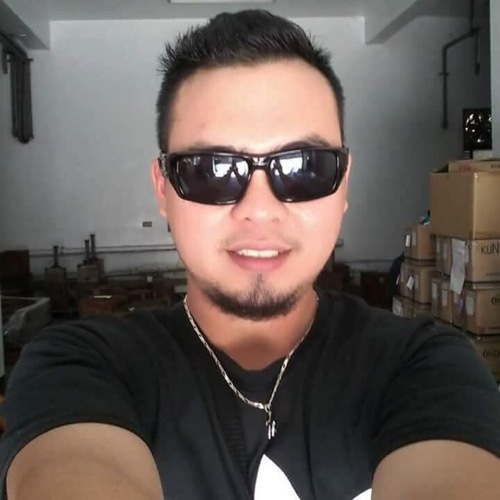 "Because Rzone gave the 'real talk' and his bars and rhymes were in very good combination," Viray said, adding "same with Kevin J, he knows how to deliver bars and rhymes which is the same with DJ, that's why it was a tie in their battle." "Also, Kenrick knows how to make rhymes and produce good combinations for punchlines," Viray said. The non-instrumental rap battle consisted of three approximately 90-second rounds with a coin toss deciding which rapper goes first in each battle. In an interview with CNA at the end of the battle Kevin J said "I feel great because this opportunity is one of my dreams so that's why I feel blessed." Battle rappers Kevin J (left) and DJ (right) pose for a photo together after their battle against each other on Sunday in Chungli. "I thank my opponent because he prepared well and I prepared well," Kevin J said. In the same interview, DJ said "I feel great and anyone willing to battle with me I will give them a very good battle like I gave my opponent." When asked what he felt about the battle, Kenrick said "I am flattered because it was my first time and I gave it 100 percent." Battle rapper Kenrick smiles for the camera after his battle against Laby Beb on Sunday in Chungli. "I really want to face Sinio, but whoever we face I will face it with 100 percent performance again," Kenrick added. 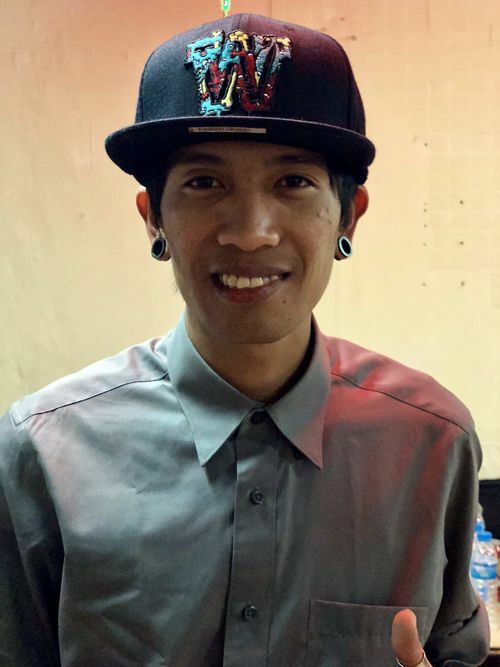 The Laklakan 2 rap battle is expected to be held in July and is set to feature battle hardened Sinio and Shernan who have both competed in the professional FlipTop battle league.